The Five Rings of Moscow race got underway this week with local favorites, team Katyusha, making a clean sweep of the podium at the opening stage. This road race was established in 1992. 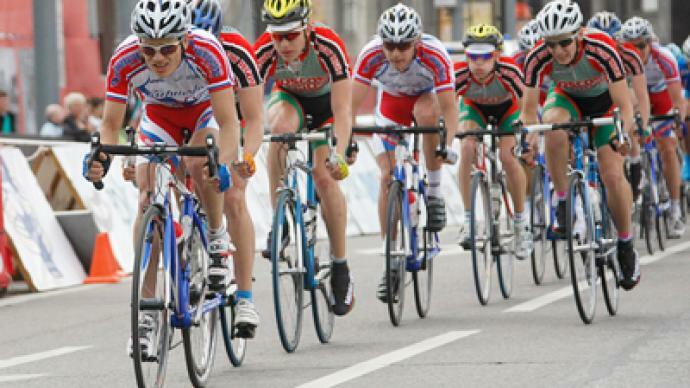 Now it is considered as one of the top events on the international cycling calendar. The competition traditionally started with a time-trial race, with the staggered start leaving each of more than 130 riders one-on-one with the so-called “small ring”. A short but tough route plotted on the hills of the Moscow district, Krylatskoye. The event favorites – the Katyusha team – promptly proved they felt at home there. And this race was all about settling scores within the team. The first one in the spotlight – last year's champion Sergey Firsanov – making it to the finishing line in less than five minutes. Later his teammate, Dmitry Kosyakov, was quick to set a time of 4.47 as the next record of the day to chase. The riders kept storming Kosyakov's time, but the record proved unbreakable until it came to the last one on the starting line – team Katyusha's young buck Andrey Solomennikov. The 24-year-old snatched victory from his teammate to take the lead in this year’s race.